Curious about how Showit and WordPress Integrate? This is a very common question we receive from client and customers, so we’re here to clear the air. This post will explain the relationship between Showit and WordPress. WordPress is a great blogging platform but can be difficult to design, especially for those who are a little more technologically hindered (no shame here, folks). Showit allows for great design with an easy drag and drop platform with multiple design capabilities. We think they make a pretty perfect match, so let’s dive in! First and foremost, WordPress is a blogging platform and Showit is a theme you install onto WordPress. This allows your website design to seamlessly integrate with your blog. With WordPress, you can also install plugins such as Shopify Lite to sell products on your website or Yoast SEO to improve the SEO for your blog. Showit has three choices when subscribing – Showit // Showit + Basic Blog // Showit + Advanced Blog. The basic Showit tier will not have integration with WordPress because it does not include a blog. The top two tiers have blogging capabilities. You will have both a WordPress and Showit Account – same login credentials, just different areas and functions which we will explain in this post. Now that Showit and WordPress integrate, you are able to use Showit’s easy drag and drop platform to design the look of your blog. Go into the Showit app at app.showit.co to change the design of blog pages such as your blog ‘post list’ page, individual post page, category, tags pages, etc. In the Showit app, there are two blog template pages – Blog or Post List and the Single Post. These blog templates is where the design of your blog is. BLOG TEMPLATE is the ‘homepage’ of your blog. Typically, a post list or grid will display your posts with an excerpt and read more button. SINGLE POST TEMPLATE is for individual post content. Usually included is a post title, date, category, post content, and navigation. Every blog template uses ‘WordPress Placeholders’ that pull content from your blog to your live website. Read this Showit tutorial where they discuss the types of placeholders you can use on your blog. Placeholders only function on blog template pages. Showit will provide you with login credentials when they set up your blog for the first time. It will look something like this: https://yourdomain.com/wp-admin. Once you log in, we suggest changing your username and password to something you will remember. 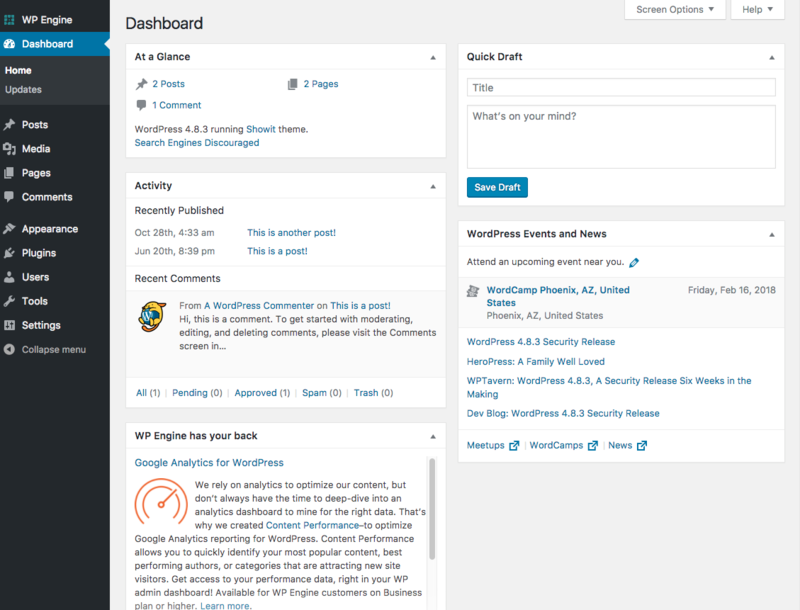 Below is a screencap of what your WordPress dashboard will look like. The left black side menu is how you will navigate to the areas you will add content into. Below is what an individual post will look like. At the top of the window will be an area for your post title, and below is your permalink. Next falls the ‘Add Media’ button which is how you will add images into the post. Then comes your character styling including things such as your headers, bold and italic options, bulleting, numbering, alignment tools, etc. Below all of those fabulous tools is the area for your post content. This is where you will share about your awesome sessions and insert images. Please take note: your unique content created in WordPress will NOT display within the Showit app. Your content will appear on your published blog on your live website. 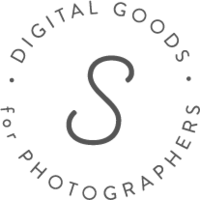 As we mentioned earlier, Showit is a theme installed onto WordPress. When you create and publish a blog post in the WordPress admin, this content will automatically be filled in on your live site based on your WordPress Placeholders. We will use our blog as an example to explain how placeholders work. Indicated in blue displays the WordPress featured image, the red displays where the post title will fill in and green shows how the post excerpt will take effect. Well, we hope this has been insightful for you guys and you understand how Showit and WordPress integrate with one another. You can shop all of our Showit website templates here. Click here to learn how to launch your Showit site!